A simple fact of California real estate is that hilly terrain translates into exciting places to live. This is the predominant characteristic of Montecito Heights, where streets snake their way up hillsides, while homes look up to the Ernest E. Debs and Rose Hill parks and below to downtown Los Angeles. Also because of this topography, major highways pass near but not through the natural setting of this neighborhood. This is nothing new, of course – the preponderance of early-20th century Arts and Crafts and Craftsman homes illustrates how smart Angelenos understood the beauty of Montecito Heights 100 years ago. Longtime homeowners and newcomers to the area have lovingly restored many of these classic California residences, even as multi-acre lots are being bought by developers with a thoroughly modern and green vision of what homes can be in the 21st century. Still, the average value of detached homes are a bargain by LA standards – about $370,000 – while townhouses and condominiums can be found in the $80,000-$100,000 range. Single un-built lots list for $10,000 through about $100,000, while multi-lot tracts are listed at up to $15 million. Homes with apartments on premises can be found for $650,000 or less. Of note, real estate analysts predict that home prices in Montecito Heights will rise about 25% faster than the average of the greater Los Angeles area in the next few years. Montecito Heights students of all ages can study birds at the Audubon Society’s first urban nature center in Debs Park. Public high schools include Abraham Lincoln, Woodrow Wilson, Academia Avance, the Academy of Environmental & Social Policy, Anahuacalmecac University Preparatory and Los Angeles International Charter High. Also, 23 public elementary and middle schools, and 12 private and parochial schools, serve the area student population. 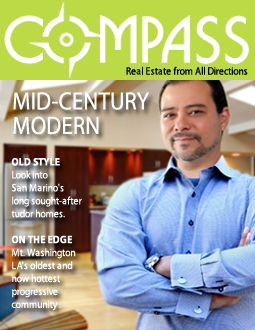 To learn more about Montecito Heights real estate, contact Steve Aranda at 360 Real Estate Group. Steve is an expert in buying and selling homes and lots in Northeast Los Angeles neighborhoods like Montecito Heights, having represented buyers and sellers in the area for the past 13 years.